The Departement of Bouches du Rhone - Pop. 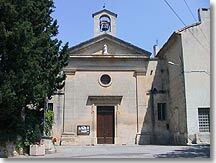 : 2.273 h.
and 12 km north of Arles on the N570. Saint Etienne du Grès is a small, picturesque village nestling at the foot of the Alpilles, a few minutes frome Saint Rémy de Provence, and Tarascon and very close to Arles. 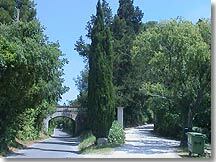 The municipality was created relatively recently, having formed part of Tarascon until 1935. This probably explains why, unlike most villages in Provence, it doesn’t possess a typical village square with the town hall, the church, the fountain, the bakery and the bistro. St Etienne is not an old village, but more a dormitory village - most of its inhabitants work in Arles, Tarascon ou St Rémy. 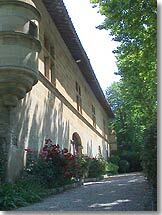 They return to St Etienne for peace and quiet and magnificent countryside only a short distance from the town. In the eastern part of the village (on the way to St Rémy) there are beautiful, old country-style houses and farms which have been carefully restored. There are also attractive houses and private mansions surrounded by elegant landscaped gardens, looking as though they come straight out of a glossy magazine. The western part of the village is made up of more modern, simple houses with pretty, well-kept little gardens. Don’t miss the fruit and vegetable market which takes place every afternoon apart from Sunday. Market gardeners, farmers and shoppers, as well as tourists and walkers, gather for this colourful spectacle, rich in tastes and fragrances, where the accents are fruity too. Chapel of Notre Dame du Château. Wholesale market open to the public on monday, wednesday and friday. Market from Monday to Saturday. 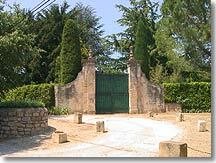 Mas Blanc des Alpilles (4 km), Tarascon (6km), Fontvieille (8km), Saint Rémy (10km).